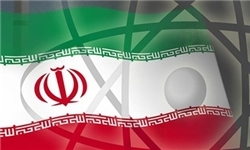 Russia said that Tehran should show flexibility and the “Six” (P5+1) should react to positive steps which are expected from Iran to end the impasse over the country’s nuclear program, RIA Novosti reported today. The Russian official made the comments ahead of Putin’s meeting with Iranian President Hassan Rouhani. The two will meet tomorrow in Bishkek on the sidelines of the Shanghai Cooperation Organization (SCO) Summit. Yesterday, the respected Russian daily Kommersant reported that Putin is ready to offer Rouhani the delivery of the advanced S-300 anti-aircraft missile system and construction of a second nuclear reactor. The Kommersant report and Ushakov’s comments today could indicate Russia’s eagerness to extract concessions from Iran on the nuclear issue in return for boosting the country’s defense capabilities in order to end the nuclear impasse. I see we are being very selective with our interpretations of news. Russians never said what is claimed "here"